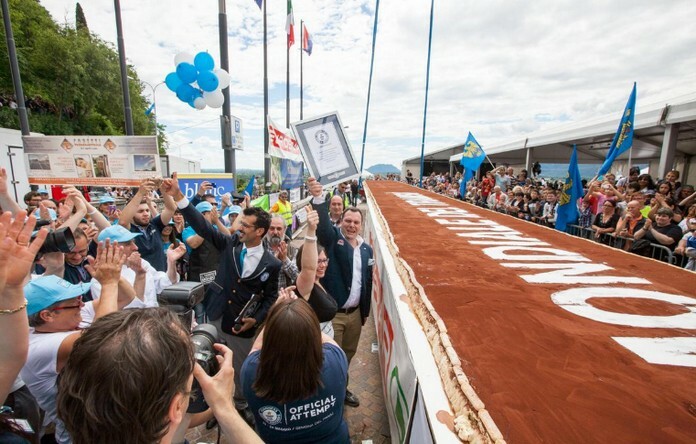 A town in the region of Friuli-Venezia Giulia has broken the world record for the longest tiramisu, making more than 250 metres of the iconic Italian Sweet. Measuring 267 m, the tiramisù was made in the town of Villesse, near Gorizia. 30,300 litres of coffee and more than 300 kg of cream were used in the dessert. The supersized sweet took a day to make by more than 30 pastry chefs. The hard work was worth it, as The tiramisu broke the previous record of 200 metres. The achievement was celebrated by locals who gathered to enjoy one of the 6000 Sweet pieces. Friuli also boasts the world’s biggest tiramisu, weighing in at 3,015 kg. 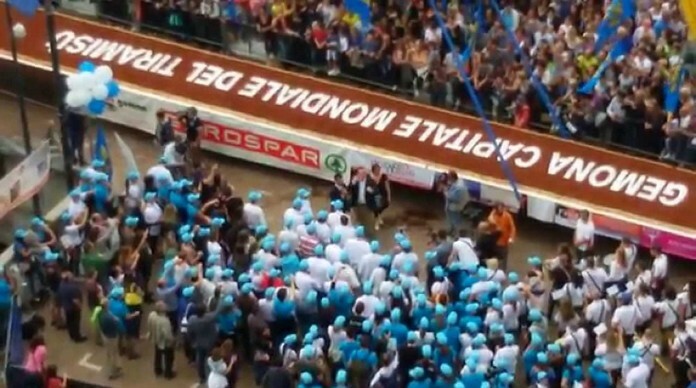 Made in 2015 in Gemona, near Udine, the giant coffee-flavoured dessert took around 200 people, including 30 pastry chefs from across the local area, to make.